Printing times are extremely fast! 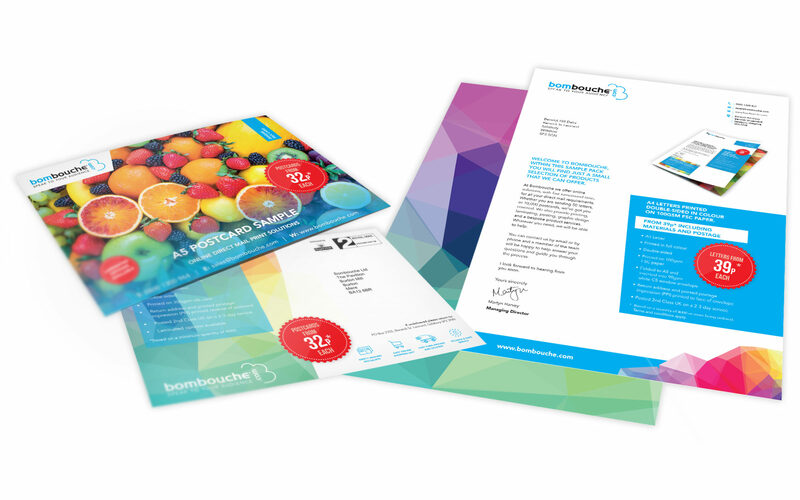 This enables Bombouche to print your mailing and send it out in no time at all! We are very use to having to deliver high quality solutions with short lead times. Digital printing is more than just about speed and cost-effectiveness. Printing digitally enables you to personalise every item, not just text, but combinations of text, images and graphics. Mono digital or black and white printing is available on the latest technology machines – with a capacity of 240 pages per minute; a single copy to a large run can be handled with ease. A capacity of 2 million copies per month means we have the capacity to get the quality and price right first time. Colour digital printing up to A3 plus bleed is also an extremely popular option. Variable Data Printing (VDP) and variable image printing is also produced on site. Digital jobs will usually be turned around the same day and delivered within 24 hours to almost any location on the UK. If others have said it can’t be done, then be sure to give us a try because we love a challenge.